Create Vassals for the Overlord to Use in Battle! 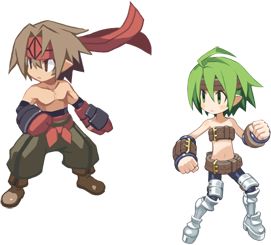 In order to fight those who oppose you, the key to victory does not lie solely with Laharl's strength. What's arguably more important is using the creatable units (the Overlord's vassals). There are many different Job Classes, Weapons, and Skills. 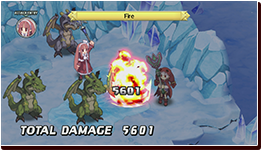 Create your own original units to build the ultimate demon army! By using the Dark Assembly from the base, you can create a completely new and original character! 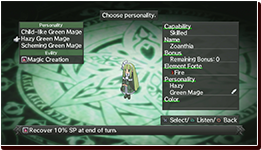 Choose from a variety of characters and customize them the way you want them! 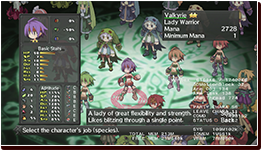 Warrior (Male/Female) Job Classes that are adept at using equipment. 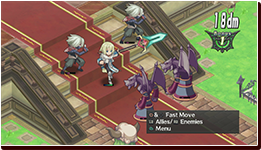 They strike a good balance between attack and defense. 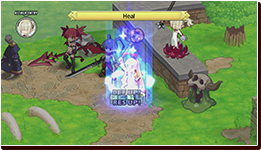 Mage (Male/Female) Two of the best Job Classes for using magic attacks. On the other hand, they have very low defense, so be careful when bringing them into battle. Priest (Male/Female) Experts at healing. You'll probably want one in your party! Check out the new design of the male priests! Martial Artist (Male/Female) Job Classes whose bodies are their greatest weapons. They have high evasion, and are really good at counter attacking. 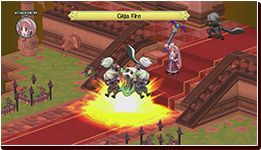 Residents of Celestia Come to Save the Netherworld! 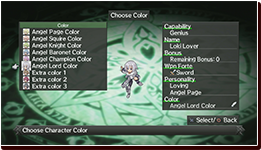 You can also create angel Job Classes through character creation! These units that are neither demons nor monsters. Apparently, the angels noticed something strange was happening in the Netherworld, so they went there to find out what was going on. Angels are the demons' worst enemies, but they can also be very powerful allies! Make them a part of your ultimate army! 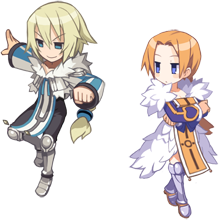 Angel Soldiers (Male/Female) The male angel soldiers specialize in physical combat. 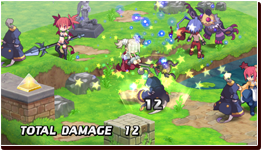 They also have skills that can increase the attack power of their surrounding friendly units. 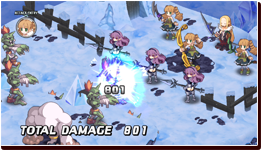 The female angel soldiers are good at defending, and have skills that can increase the defense power of their surrounding friendly units. Take Note of the Properties of Units When Making Your Party! 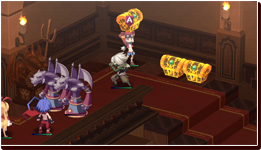 How to Use Creatable Units! 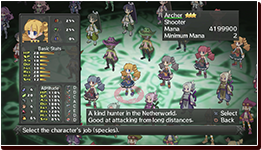 Each unit is customizable in that there are many different Job Classes and weapons to choose from. 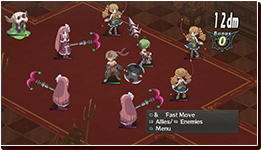 These units are effective at fighting alone, but... By combining the properties of multiple units, they can be greater than the sum of their parts! Here are some examples of how you can strategically use units. Wall of Heavy Knights! By using Heavy Knights and Archers together, you can create a wall of Heavy Knights, and attack the enemies with the Archers hiding behind them. There's nothing the enemies can do about it! 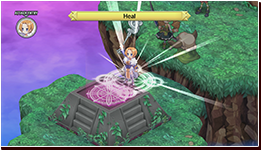 You can also add a healer to make this strategy even more invincible! The Ultimate 2-on-1 Unit! Mount a Magician on top of a tanking monster for protection! 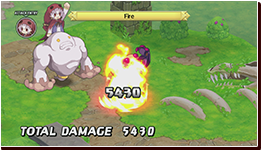 You can cast high damaging spells while protecting the caster with the monster. On top of that, the units get increased stats, as well as double the EXP! It's a very effective combination! Sneak Attack with High-Movement Units! 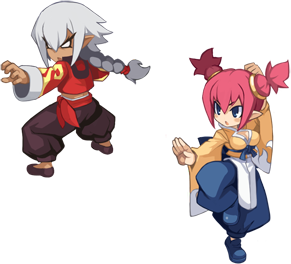 By using Thieves and Ninjas, you can sneak behind enemy lines to take treasure or attack them from behind. 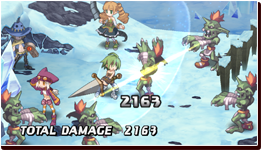 It's always useful to have a few high-movement units in your party! The Combinations are Endless! Find Your Own Special Combinations! This Should Appeal to Even the Pickiest of Players! Change Stats and Looks! You can customize many things when creating characters! 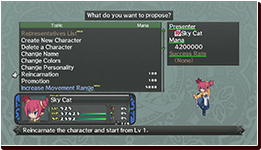 Capability You can create characters with higher capabilities. 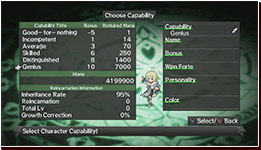 By adding bonuses to initial stats, you will greatly affect how much the stats increase when the character levels up. Color You can change the color scheme of your characters, too! 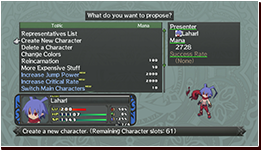 It has absolutely no effect on their stats, but it's just one more thing you can customize. Personality You can choose the personality of your characters, too! 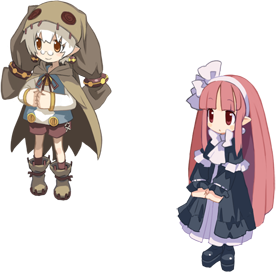 Depending on their personality, they will talk differently, as well as have different Evilities! Their voices alone change the feel a lot. A Spontaneous Clergy increases the DEF of those he heals. 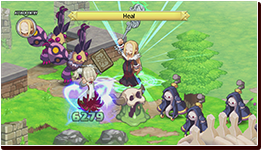 A Scheming Witch uses her own HP to cast spells when her SP is too low. 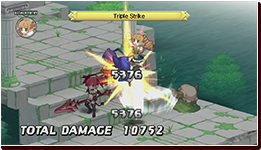 A Sporty Valkyrie increases her ATK, depending on the distance she moved. Be Born Again and Get Stronger! 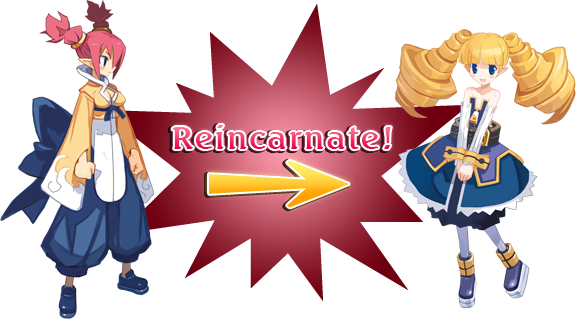 The Reincarnation System! You can do anything you want in the Netherworld! And that includes reincarnating! You can reincarnate the characters you created, and change them into something completely different! When you reincarnate a character, you can customize them to your liking. 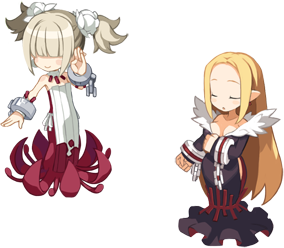 Reincarnated units carry over some of the characteristics they had before, so their potential is much higher! 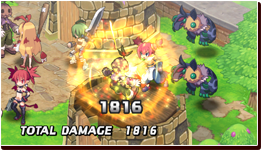 You can keep using the same unit over and over again! The more they reincarnate, the stronger they get! An Archer Who Uses Fist Skills! Archers are typically good at long range combat, but aren't very good up close... But! 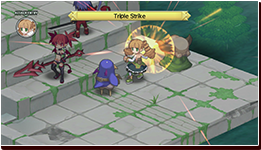 If you reincarnate a Fight Mistress, you can create an Archer that can use Fist Skills! The Archer's fists of fury!? 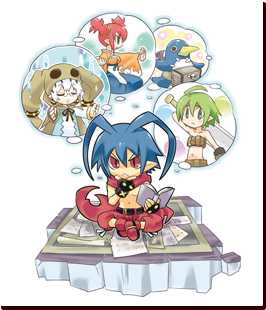 You can also create magic users who fight with swords and spears...or even characters that gain ultimate ATK power through countless reincarnations... The possibilities are endless.